Hot isostatic pressing (HIP) enables the production of complex parts using additive manufacturing (AM) techniques that would be difficult to produce using conventional methods. Additive manfacturing, also known as 3D printing, rapid prototyping or freeform fabrication, is a technology that produces three dimensional parts layer by layer from 3D CAD model data. AM is an additive process as opposed to traditional manufacturing methods that remove layers of material such as machining or milling. AM technologies include Selective Laser Melting and Electron Beam Melting where the powder is melted as it is layered; Inkjet Printing where the powder is mixed with a binder while being applied and then consolidated by sintering; and Laser Metal Deposition where powder is blown onto a metal base as it is melted by a laser. The outstanding feature of all AM techniques is their capability to produce parts of high geometrical complexity that cannot be manufactured by any other production technique. 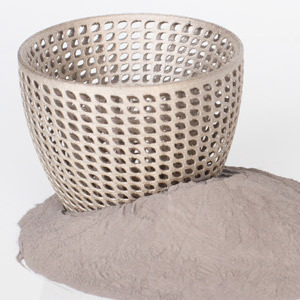 Additive Manufacturing combined with hot isostatic pressing offers the possibility to produce parts from metal powders with qualities that are comparable to those resulting from conventional manufacturing methods. With the application of pressure and temperature, the parts printed from metal powders can be given longer creep life, greater fatigue resistance and enhanced toughness. Parts with complex shapes and/or inner cavities, unable to be produced by traditional machining techniques, can be 3D printed and then have their properties enhanced using HIP processing. Shapes and thin walled parts unable to be produced by conventional casting techniques are now possible using AM and HIP. Utilizing post processing via HIP, additive manufactured parts can be built with lattice or foam inner structures reducing costs and weight without sacrificing strength. By combining additive manfacturing and hot isostatic pressing, metal assemblies that previously required multiple pieces can now be made as one part resulting in significant savings in production costs.